ADAPTING ROBERT E. HOWARD'S ONLY CONAN NOVEL! February 2013 - MILWAUKIE, OR – Dark Horse Comics is thrilled to announce the return of a fan-favorite Conan creative team. 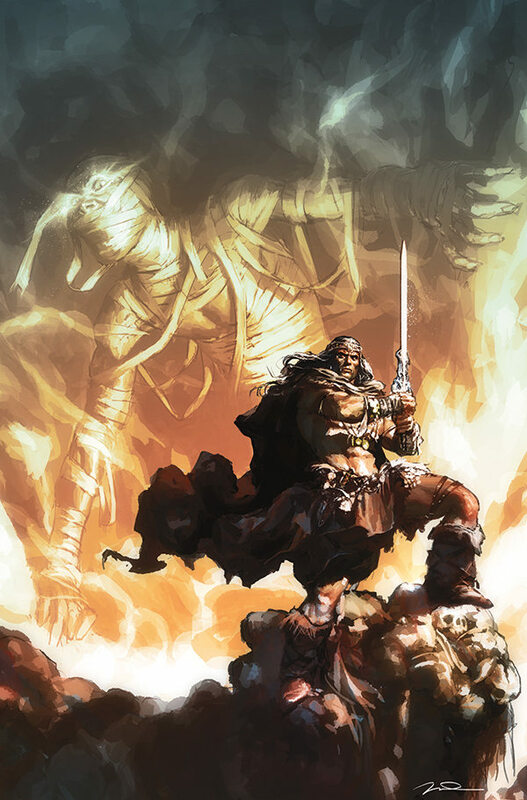 Writer Timothy Truman, artist Tomás Giorello, and colorist José Villarrubia are set to adapt Robert E. Howard's only Conan novel in two six-issue miniseries. More about The Hour of the Dragon: King Conan has faced many threats to his throne in Aquilonia - but none more deadly than a traitorous alliance backed by the resurrected sorcerer Xaltotun, at whose command mountains crumble!